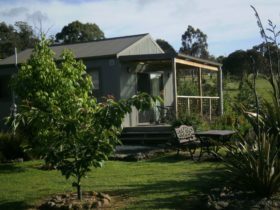 28 gates is a little piece of boutique accommodation in Tasmania’s beautiful Derwent Valley. 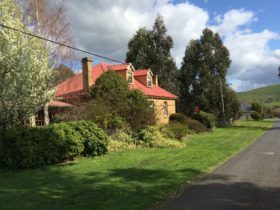 Just a one hour drive west of Hobart, it is located on historic “Bloomfield”, a sixth generation, family-owned grazing and cropping property dating back to 1862. 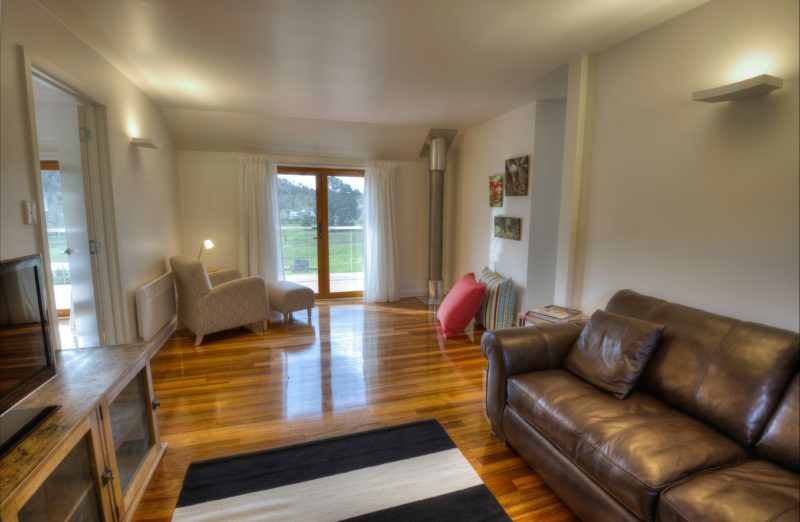 The quality accommodation over two floors, sleeps up to six people, with three bedrooms, two bathrooms, two living areas, a fully appointed European kitchen and laundry. Two bedrooms lead onto the balcony. 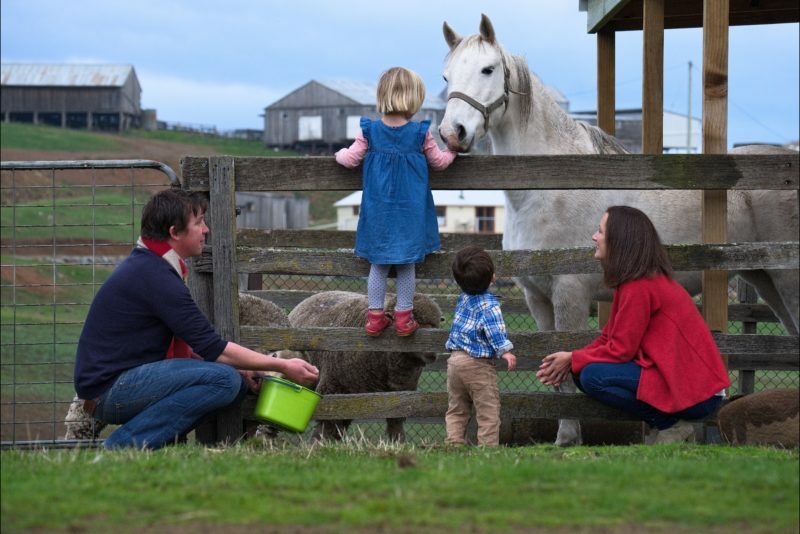 Complimentary still or sparkling wine, farm tour, handmade treats and full breakfast provisions on arrival. Meals can be purchased too. 28 gates is surrounded by 5000 acres which include four lakes stocked with Wild Brown, Rainbow, Tiger and Brook Trout. We can organise a guide by request. There are plenty of walking tracks and at least 60 species of birds have been identified. See native animals in their natural habitat. Feed their beautiful pets. Photography tuition is available too. 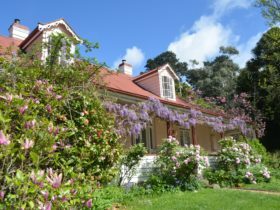 28 gates is a 30-minute drive from New Norfolk. 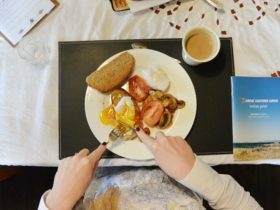 Also, close by are Salmon Ponds, Agrarian Kitchen, The Wall, Mt Field National Park, three golf courses, kayaking and many more attractions. Rates vary according to the time of year and length of stay. 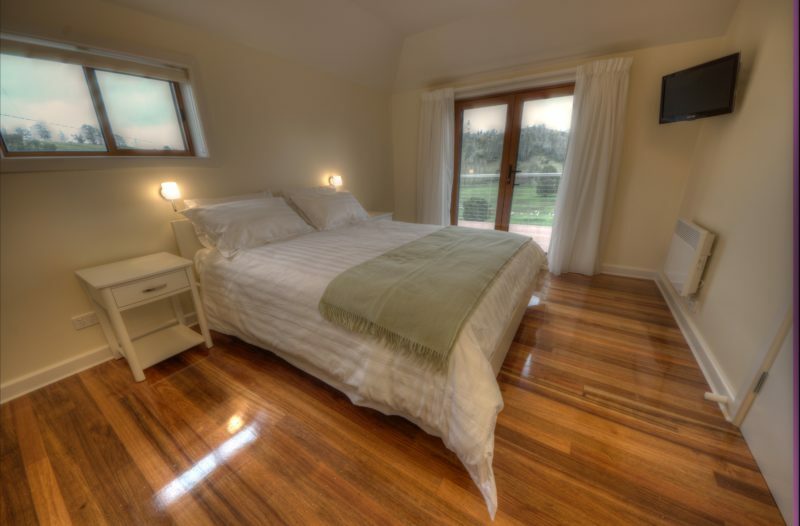 Polished floors made from Tasmanian timbers, comfortable leather sofas, finest bed linen, cosy wood-fire and free-standing bath looking out to a country sky would all astound weary shearers and delight discerning travellers. 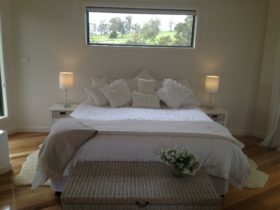 Complimentary still or sparkling wine, farm tour, hand made treats and full breakfast provisions on arrival.